The Las Vegas Black Hawks traveled to Arizona December 9th for their first competition of the season. The U-18 side for the Black Hawks took 1st place with a strong showing while the young U-16 side competed well and came away with a 3rd place finish. Congratulation to the Las Vegas Black Hawks, Coaches, and Parents on a promising start to the 2017-18 season! 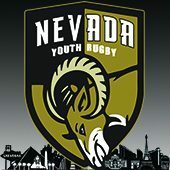 For more details on the Roadrunner Tournament see the article on Goff Rugby Report.